Add coconut oil, olive oil, tomatoes, okra, squash, bell pepper, celery, collard greens, red miso, turmeric, black pepper, cayenne pepper, cumin and a few drops of water to crockpot, stir all around, set heat to HIGH and close the lid shut. Put rest of the water into a pot on the stove and bring to a boil. 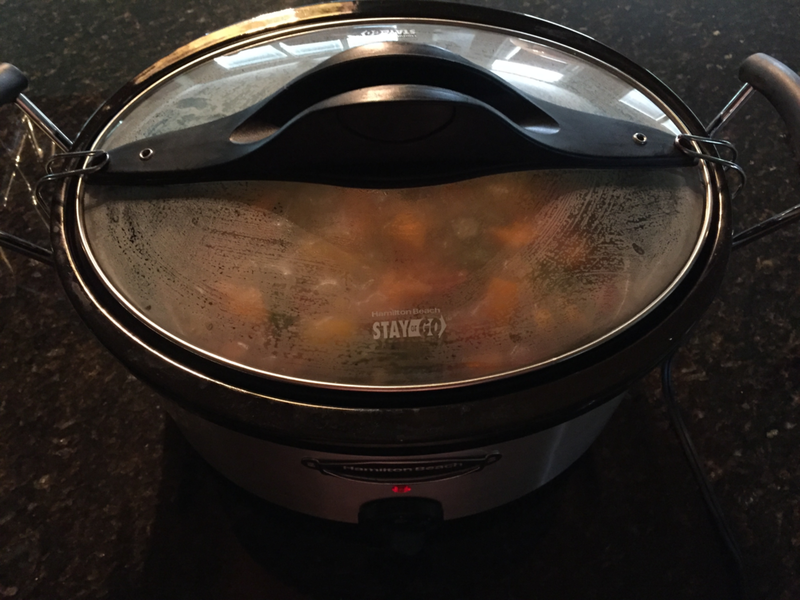 Open crockpot lid, stir all ingredients around evenly and close the lid for another 40-60 minutes. Open lid stir all ingredients around evenly and take a bit to see how the rice feels/tastes. If the rice needs more cooking, can close the lid for another 15-20 minutes but it should be ready by now. Once ready, turn crcokpot heat off and serve warm with a sprinkle of sea salt on top. 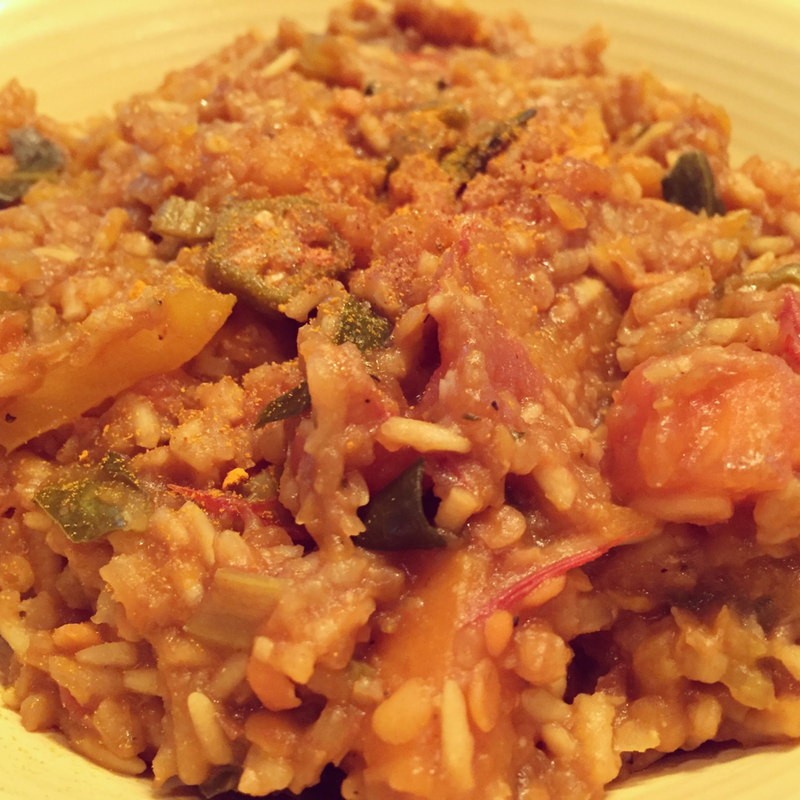 If you'd prefer a little meat in your jambalaya, feel free to add (sliced) smoked sausage, ham, chicken and/or shrimp to this dish to make it meat-eater friendly. Can use cooked meats as a side to add when serving or add them directly to the crockpot (in Step #1) to cook down with the rest of the ingredients. Enjoy! Excellent, you're signed up to receive more new recipes. Please be on the lookout for a confirmation email reply shortly. Thanks!